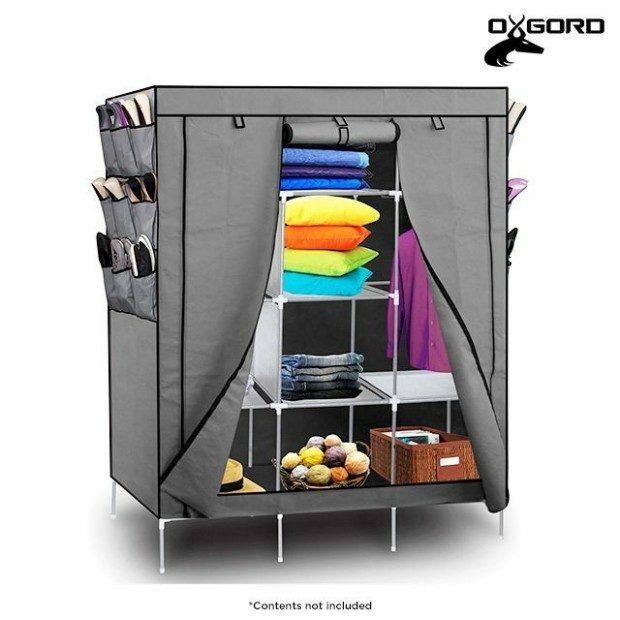 Portable Wardrobe Closet Only $29 Shipped! You are here: Home / Great Deals / Portable Wardrobe Closet Only $29 Shipped! Having enough storage is always a problem. Having neat, organized extra storage is almost impossible! This Portable Wardrobe Closet Organizer is a perfect way to stay organized while creating some extra room for all that stuff. Get the Portable Wardrobe Closet for Only $27 plus $2 Shipping! It’s perfect for use as a linen closet, a guest room closet, or even in your bedroom.